A quarterly Welsh language religious periodical serving the temperance movement, the Band of Hope and the Sunday schools. The periodical's main contents were articles on temperance, religious articles and articles for children, alongside musical compositions, reviews and poetry. The periodical was edited by William Gwyddno Roberts until May 1880, by William Jones until April 1887 and subsequently by John Evans Owen. 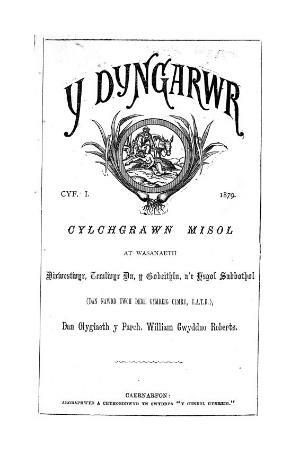 Publisher Details: Swyddfa "Y Genedl Gymreig"